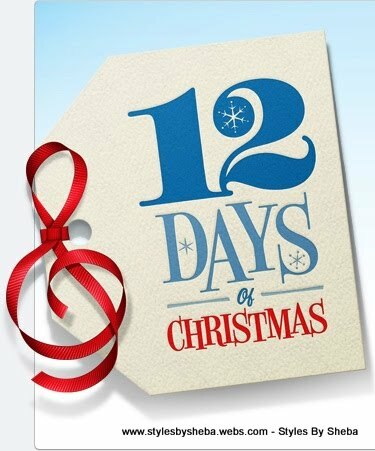 Styles By Sheba: December "Deal-A-Day" and "12 Days of Healthy Hair" Specials 2015! December "Deal-A-Day" and "12 Days of Healthy Hair" Specials 2015! December 1st officially marks the holiday season. Each day in December, there will be a "DEAL-A-DAY" discount for my clients at my online scheduling site. It will be listed under the "Specials" section. 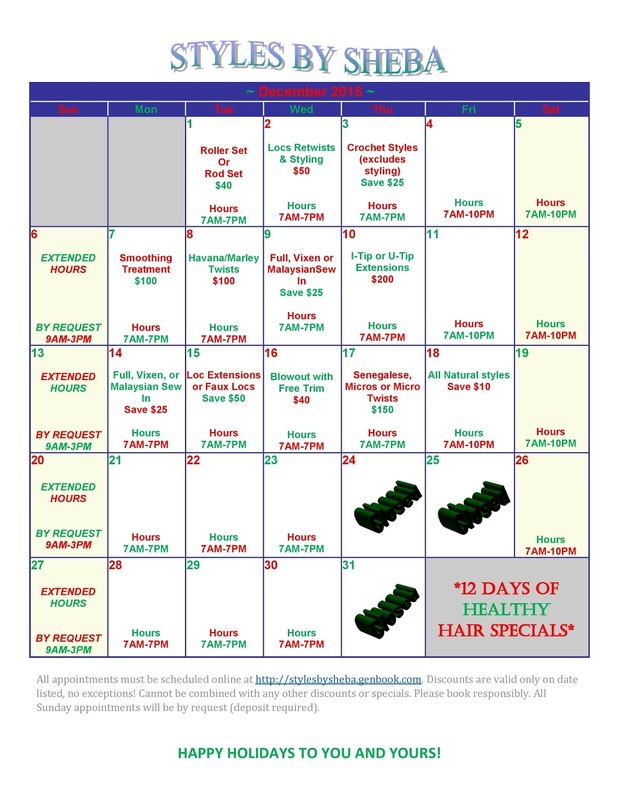 Check the calendar below to view the "12 Days of Healthy Hair" specials being offered from December 1st to December 18th. Extended holiday hours will be available 7am - 7pm, Monday - Thursday and 7am - 10pm Friday and Saturday. All Sunday appointments will be by request (deposit required). Holiday hours will be in effect December 1 - 31, 2015. Please book responsibly!! !